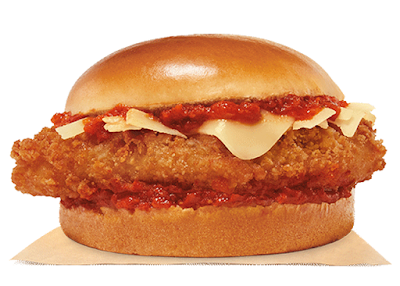 The Chicken Parmesan Sandwich features crispy-fried white meat chicken filet, melted mozzarella, shaved parmesan, and marinara sauce on a toasted potato bun. The suggested price for the sandwich is $4.99. You can find it for a limited time at participating Burger King restaurants nationwide.